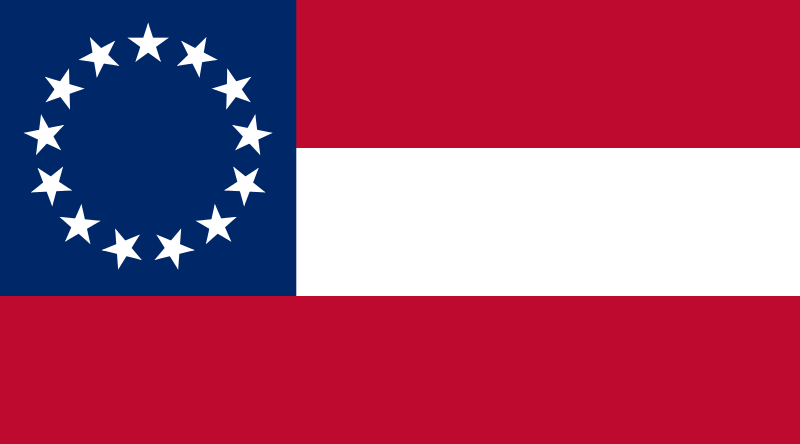 The first official flag of the Confederate States of America, specifically when it had thirteen stars representing the states of the Confederacy including Kentucky and Missouri. current 16:45, 31 December 2016 800 × 444 (16 kilobytes) 1990'sguy (Talk | contribs) The first official flag of the Confederate States of America, specifically when it had thirteen stars representing the states of the Confederacy including Kentucky and Missouri. This page was last modified on 8 March 2017, at 00:06.